Ayya Dipa shared this opportunity with us. Click on the photo to enlarge it and see contact telephone numbers, or download a pdf announcement HERE. We will be conducting New Year Vipassana Meditation Retreat from December 22, 2012 to January 1, 2013 under the close guidance of the residing Sayadaw Ashin Eindardipati and Sayadaw Ashin Nyana Nanda. 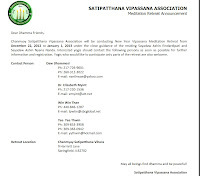 Interested yogis should contact the following persons as soon as possible for further information and registration. Yogis who would like to participate only parts of the retreat are also welcome. 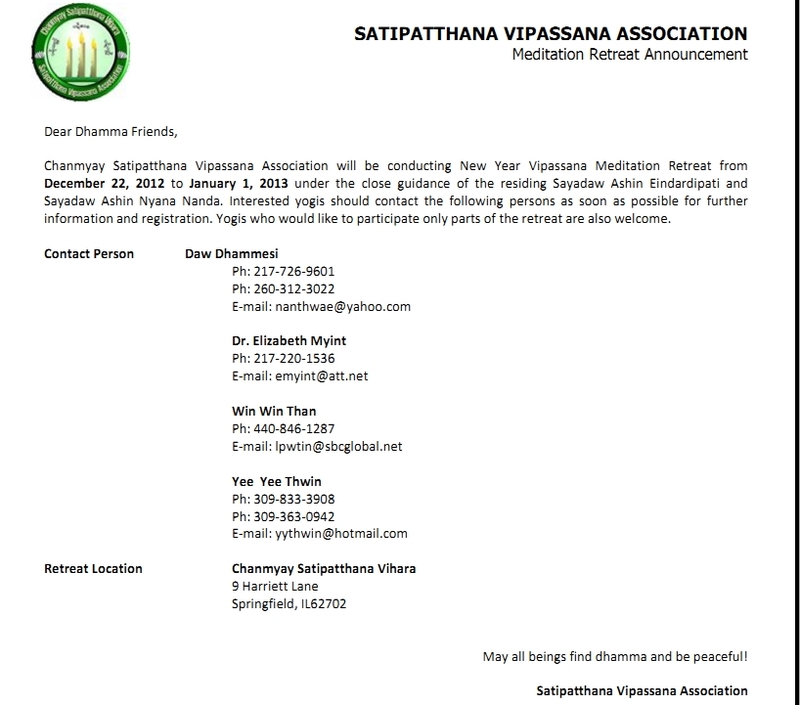 Please visit Chanmyay USA website Event Page for more information as well as other events information at SVA and please feel free to forward this email to anyone who may like to join New Year Vipassana Retreat. May all beings find dhamma and be peaceful!